My brother’s birthday party was yesterday. It was a soccer themed party. And here’s a coincidence: Henry’s birthday soccer game ended in a 7-7 tie on his seventh birthday. I thought that was funny and would make a good memory for him. 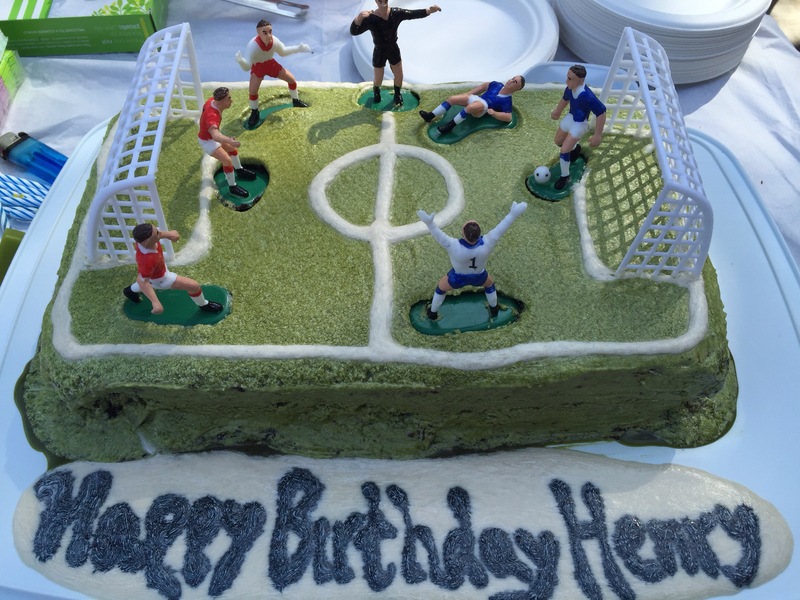 So, his cake was a light green soccer cake of course! Although it didn’t look like the most appetizing cake because it was green, it was still pretty good. I even had seconds. My mom made it. After so much sugar, I was looking forward to getting back on track. 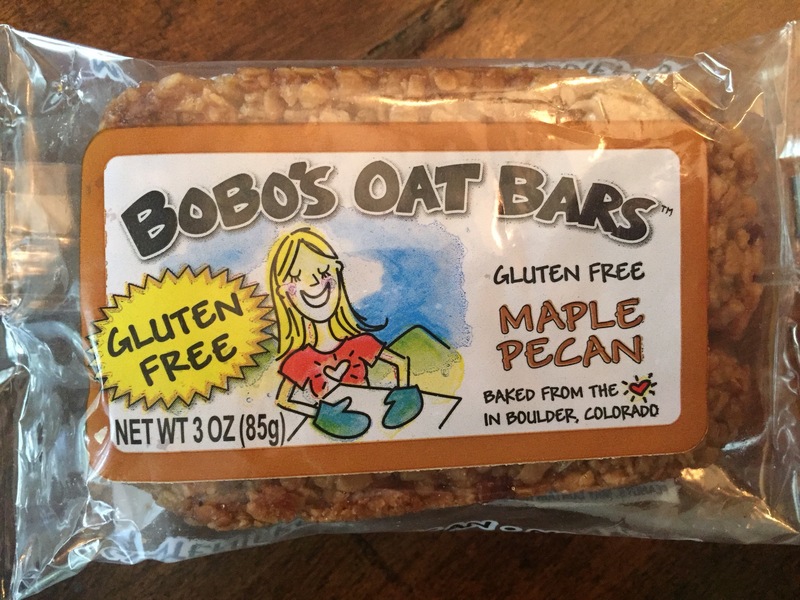 And Bobo’s Oat Bars is just the right thing to do that. I thought that the maple pecan flavor was perfect. It was also a lot fatter than other bars and it was short too. 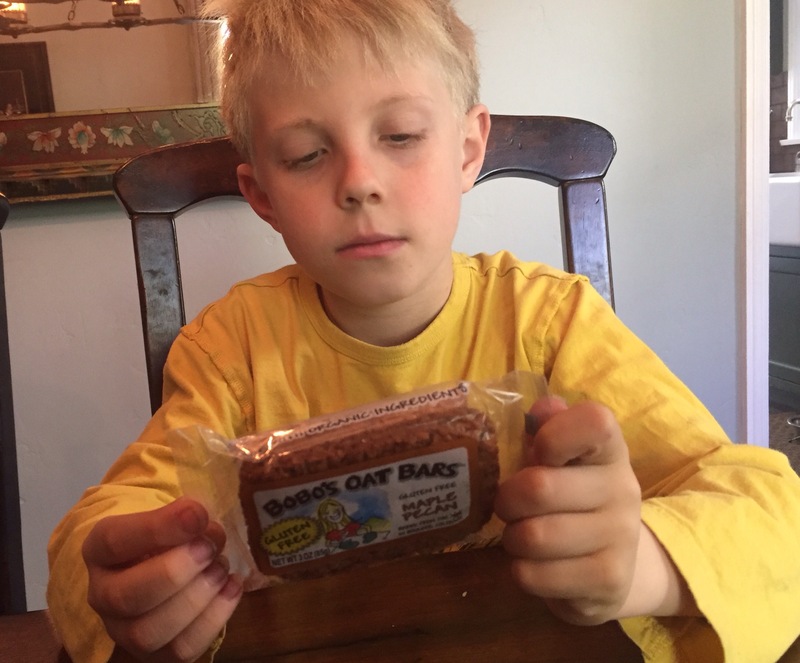 It had 9 grams of sugar which isn’t the lowest but can also be compared to other bars that have high sugar even up to 18 grams of sugar and more. That is a lot. This bar is also very filling. I thought it would be very helpful if you’re not going to eat for a while. I couldn’t even finish the whole bar because it was so filling. And I am an eating machine. Whenever my mom says that, I always have this image in my mind, where I am a machine and there is someone who brings me mountains and mountains of food. And I eat it all up. Ok. Enough of that. Here is what the bar looks like. My reaction to this bar was awesome. Check it out. Those Bono bars sound delicious! I’m going to buy and try them. 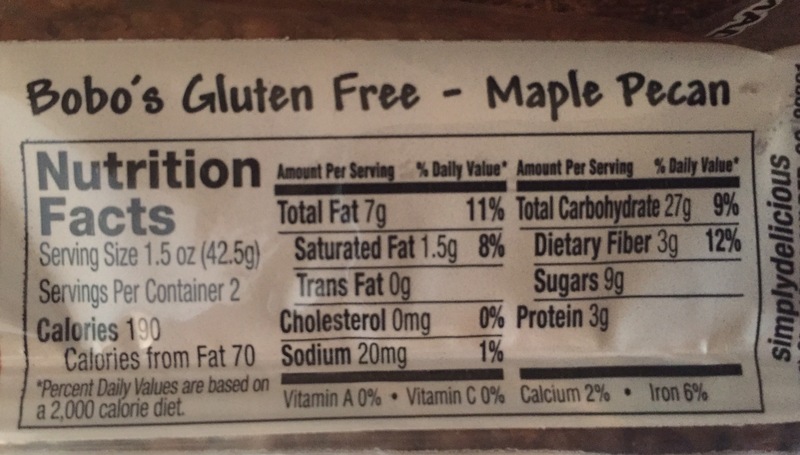 Most breakfast bars have more sugar than I like. Thanks for sharing. It was great seeing you and your family again! Wow! That cake looked amazing! Good job, Mom! I will be sure to let him know!